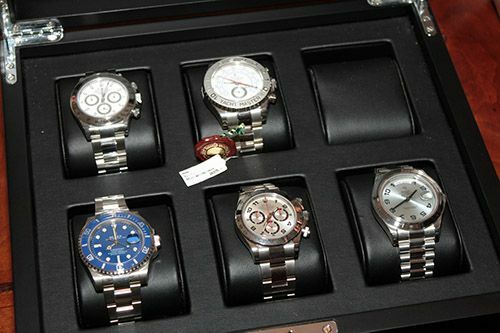 Friday evening, I attended a Rolex get-together, arranged by authorized Rolex dealer Schaap ~ Citroen. On Saturday I attended the SAHH (Salon Amsterdam de la Haute Horlogerie) to look at all the novelties from Audemars Piguet, Baume et Mercier, Cartier, IWC, Jeager-LeCoultre, Panerai, Piaget, Richard Mille and Roger Dubuis. The SAHH event was hosted by Gassan Diamonds in Amsterdam. 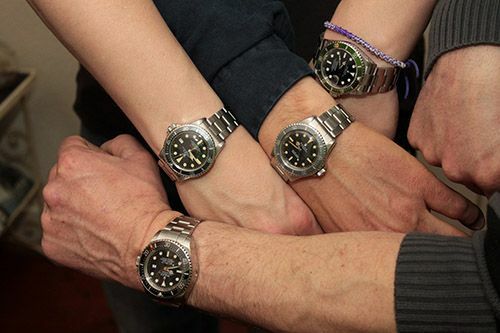 And on Sunday, we had our Horloges & Espresso meeting with a bunch of watch nuts in The Hague, organized every first Sunday of the month. 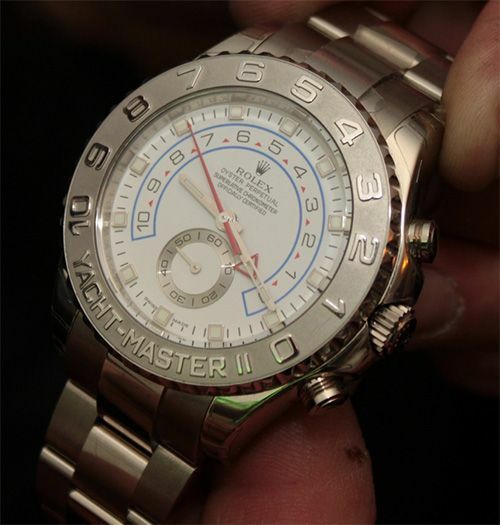 The laser engraved Rolex logo is ALWAYS on 6 o?¢Ç¨Ñ¢clock, it is done after the crystal has been put on the timepiece. I would like to thank Schaap ~ Citroen and forum members Harald and MarkD for initiating and hosting this great event! On Saturday the 6th of March, the SAHH was presented in Amsterdam, hosted by Gassan. The two watches that impressed me most were the Cartier Calibre (4900 Euro) with in-house movement and the AP Royal Oak Equation of Time (40-50K Euro). The Cartier has a useable size, perfect finish on dial and case and a movement developed by Cartier. The dial of this watch has all the nice details you are used from Cartier. The only downside is the shape of the lugs in my opinion. 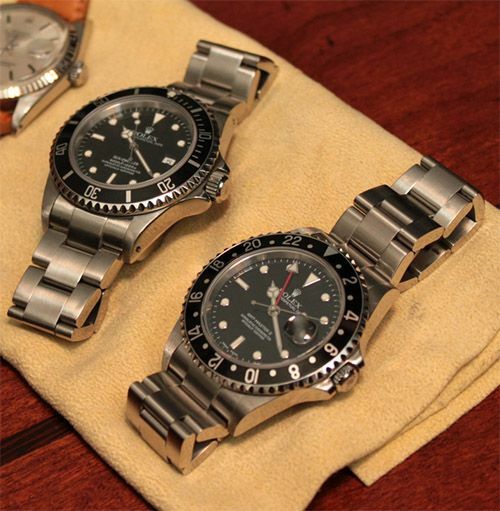 The pointy and bended lugs will stick in your wrist, especially when you have large wrists/arms. 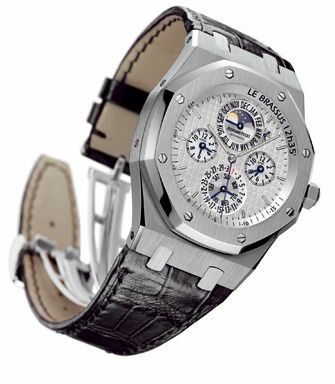 The Audemars Piguet Royal Oak Equation of Time simply rocks the bomb. The size of the watch was slightly bigger than my Jumbo (15202) or the ref.15300, but still within proportions and less present than the Offshore models. The subtle leap-year indicator, sun-rise, sun-set and equation of time indicators in addition to its moon phase disc are in no-way misplaced or creating a dial that could be considered too busy. I tried on the gold version, but there will be a stainless steel version as well. A brand that surprised me in a more negative way was Richard Mille. 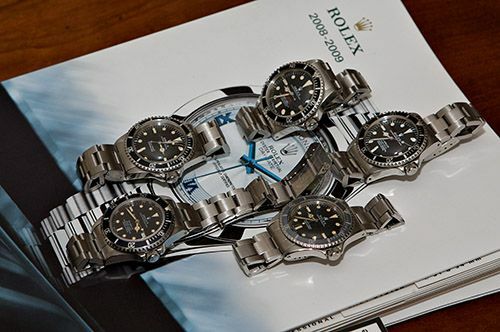 I was very interested in Richard Mille?¢Ç¨Ñ¢s timepieces but I simply can?¢Ç¨Ñ¢t give them a place. Technically very interesting, innovative techniques and materials, but design wise not very interesting in my opinion. The tourbillon was nice to look at, but I must say that I have seen enough tourbillons last year. The weekend ended with our monthly Horloges & Espresso meeting in The Hague, the 15th edition if I am not mistaken 🙂 Just to be in time to visit the IWC Show at Ace & Dik in Amsterdam the next day. A report will follow soon!